Texas Hippie Coalition are a Texas based redneck metal band...that’s an absolute understatement but for those not informed on the band that’s a good starting point. Anti Mortem were direct support for this show and their twin guitar attack was an interesting mix of old school rock n roll playing mixed with Dimebag styled shredding! 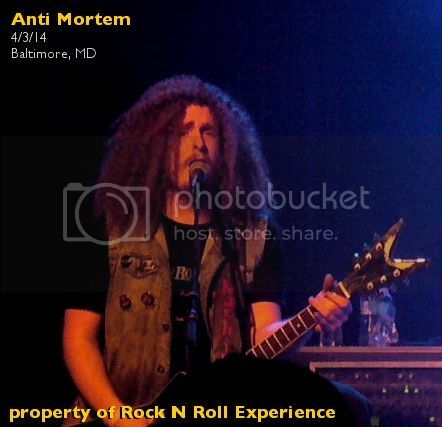 Anti Mortem’s one guitarist not only mimicked Dime’s playing style but he also looked a helluva lot like the man right down to his hair & Dean guitar! I was surprised to see around 200 fans in attendance for Texas Hippie Coalition and better yet many of the fans even knew song lyrics and sang along with the band! The show was a straight up, no frills, Red-metal rock fest and Texas Hippie have gained a coveted slot on this year’s 2014 Mayhem Fest tour so just incase you miss them on their Spring Headlining run you will be able to catch them all Summer on Mayhem Fest! Click here to “Like” Rock N Roll Experience on Facebook.